Sebastian Brandt. Der Richterlich Clagspiegel. Ein nutzbarlicher Begriff: Wie man setzten und formieren sol nach ordenung der rechten ein uede Clag/antwort/von ausssprechene urteilen. Gezogen auss geistlichen und weltklichen rechten... Durch Doctorem Sebastianum Brandt wider durchsigtiget/und mit mererm fleiss zum teyl gebessert. 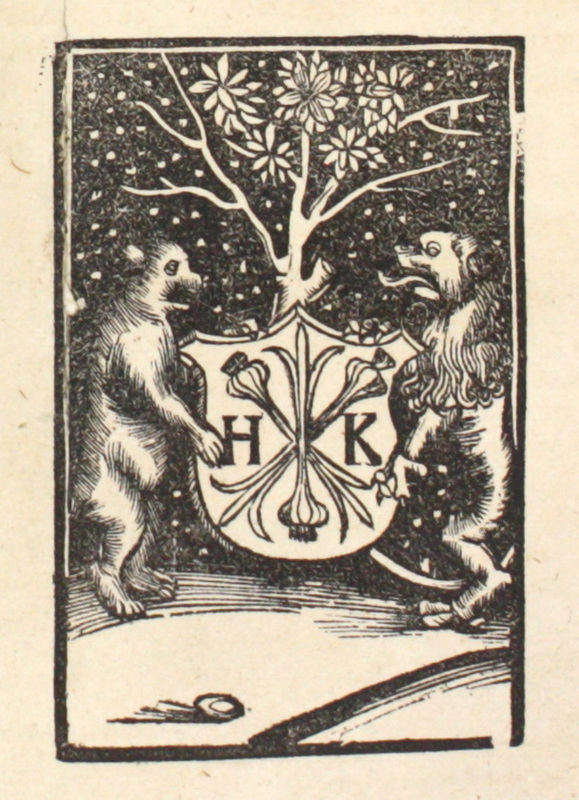 Strassburg: Johannes Knobloch, 1518. 30 cm. Bound in paper leaves from a 16th century Decretum of Gratian (Part 2). 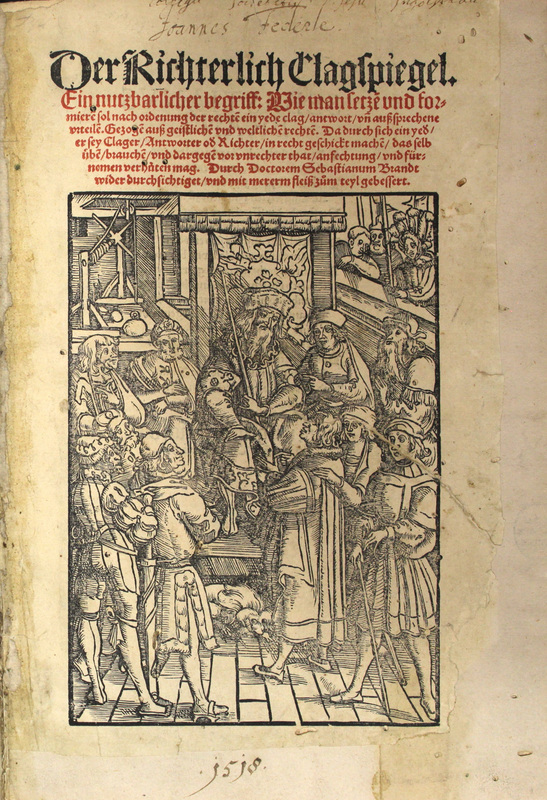 Tarlton holds a second edition of Sebastian Brandt's groundbreaking version of the Clagspiegel, the oldest book of Roman law in the German language and a cornerstone in the practical reception of Roman law in Germany. The work was popular with practicing attorneys as it provided a bridge between German practice and the Corpus juris civilis. 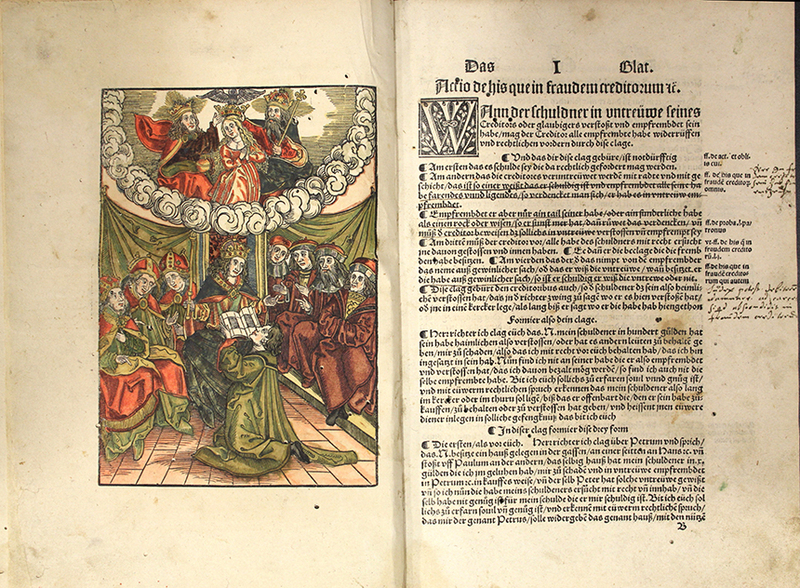 The work is credited with the adoption of Roman law in early modern Germany and has had a profound effect on the practice of law in Germany ever since. The work has two parts, one on civil law and procedure and the second on criminal law and procedure. The work dates from 1436. Between 1475 and 1612, it went through twenty editions. 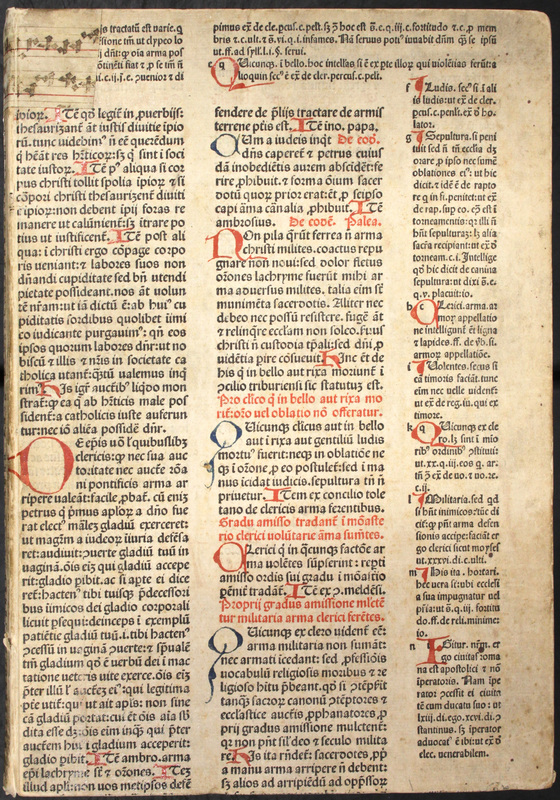 This edition is a folio with woodcuts -- one hand colored -- and woodcut initials throughout. One of four copies in the US.